ANYWAY I decided I wanted to add Candied Strawberries and candied berries to the cake. I was afraid there would be some trick to it, but honestly it couldn’t be EASIER to make! So easy I made you a ONE MIN video! YUP, that easy! We love fresh berries, but having a sweet crunch is also a fun treat! I can see us making these all summer, to top ice cream, cereal, CAKE, or just enjoy plain! These were gone in MINUTES! 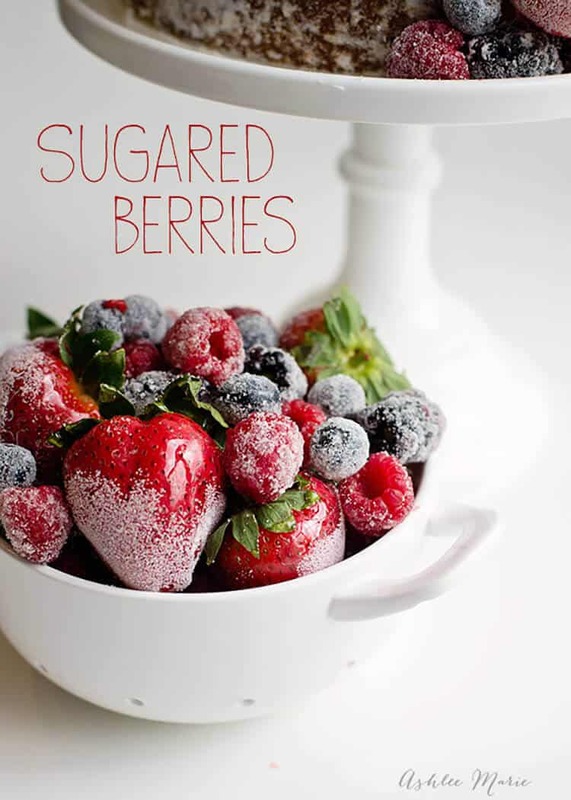 how long do the sugared berries keep? and how is the best way to keep them ? Is there an alternative to using the egg whites. I’m concerned about serving raw eggs to my children. What do you think about using meringue powder instead of egg whites? I don’t think that would work. 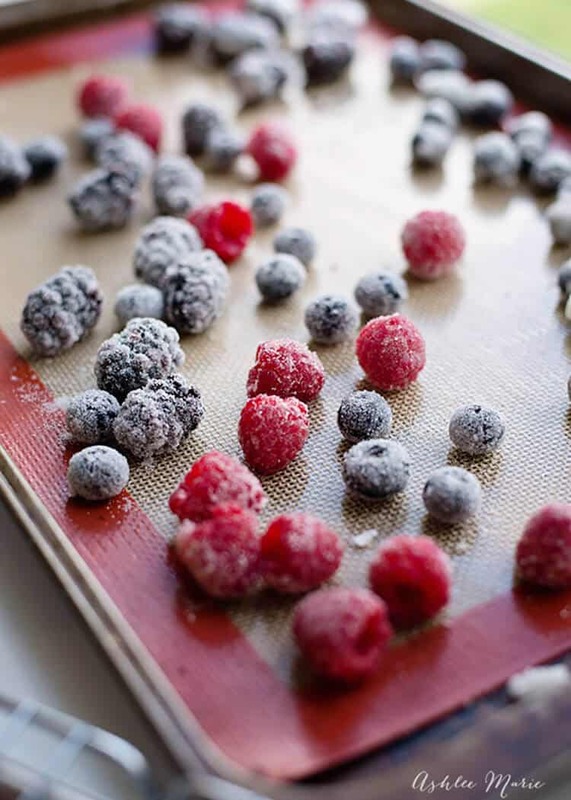 Couldn’t I use the same method for blueberries and raspberries, that i use for candied strawberries and just dip them in sugar after?